Sand City is known for its funky, independent and artistic atmosphere, and nowhere is that more on display than the West End Celebration. The streets of Sand City shut down and become an open-air artists&apos; fair, showcasing truly unique works from artists throughout Monterey County. Resident Sand City artists also open their studio doors throughout the day, inviting the public to view both completed works and works in progress. Many studios also host live performances during the event. Don&apos;t be intimidated by some of the big names showing their work; for every legend with art on display, there is an undiscovered artist in the booth next door. Find a painting or photo to brighten your home, a sculpture for your yard, or turn yourself into a piece of art with a piece of incredible handmade jewelry. The Sand City West End Celebration also showcases local food, wine and music. Food booths feature local favorites such as artichokes and taste wines from several local wineries. 2018&apos;s musical acts include The Last Bandoleros, The Ray Charles Project, Dave Holodiloff and many more! Visit the West End Celebration&apos;s official website for a complete schedule. The West End Celebration centers around Contra Costa Street and Ortiz Avenue in Sand City. Access the neighborhood via either Contra Costa Street or Tioga Avenue. 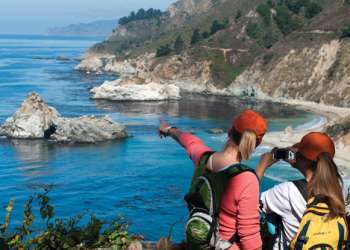 Several hotels are conveniently located in Marina, Seaside and Monterey which are a short distance to the event.